District Governor and the Guatemala Service Project team is hard at work planning a fantastic year end service project that will change lives in the country of Guatemala. The team is working with all the clubs in the district to arrange funding. International Service Area Training Officers are visiting clubs in their area to explain the projects we plan to do next June. 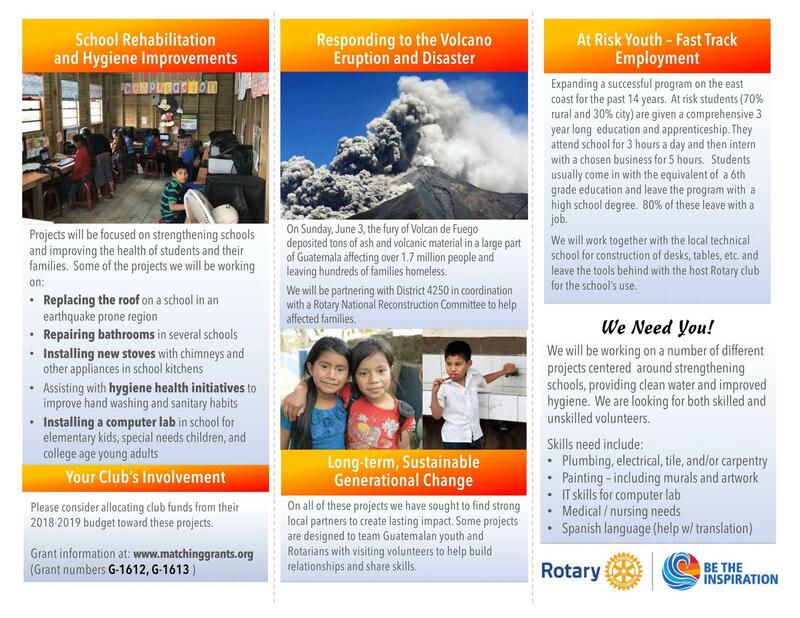 We are also surveying Rotary members throughout the district to assess interest in going to Guatemala next June to work on these projects. If you are interested in joining fellow Rotary members from District 5790 in participating in these project the end of June please complete the survey by clicking here. Below is a description of the two projects members will be undertaking during June. These schools serve as kindergarten, elementary, and special needs classrooms in the morning, high school classrooms in the afternoon and college in the evening. Currently the special needs teachers need further training to assist the students. We will pay for that training for the teachers and build and equip special needs facilities in the classrooms and bathrooms. There are no computer labs for the teachers to use in furthering their own education and building lesson plans. Currently 80% of the teachers in this area don't have basic computer skills. We will train the teachers in the use of computers and equip computer labs with computers and software for them including spreadsheet, word processing, power point and FUNSEPA for special needs children. The students will be able to use the labs also to learn computer skills to assist in their education and build their job skills. The Rotaract in Antigua has agreed to mentor the teachers and students after their initial education and provide basic computer support. One of the buildings is structurally unsound and will require repairs to replace the roof. We will pay for a new roof. We are seeking to raise $70,000 US to accomplish this goal. This project targets returning migrant youths for job training and completion of their high school education. 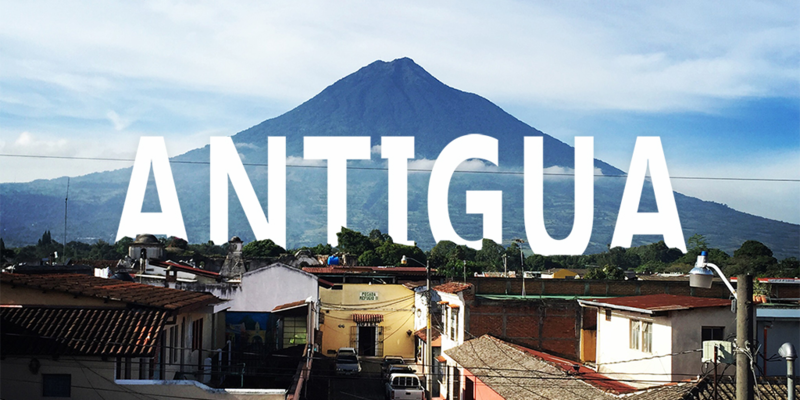 Students receive room and board on the outskirts of Guatemala City and receive high school education for three hours a day and then intern at a local business for the rest of the day. Guatemala city has a strong hotel and restaurant market and these skills are needed for the tourist areas. The project includes training teachers, retrofitting the kitchen in the building, a computer lab with computers and furnishings for the students. Since the target jobs are hotel and restaurant work the kitchen and living areas will serve as training areas. The local club and income from the internships will fund about $100,000 US to the project, Rotary will fund 56%. This project mirrors a Rotary grant funded boarding school on the east coast of Guatemala that is accredited and has subsequently been funded by the Ministry of Education at ever increasing amounts for the last 13 years. 80% of the students at the other school graduate with a job and a high school diploma.